If you're a gay bowler, you're in luck because Lucky Strike will get you out on the lanes each Tuesday night. As a sport, bowling is pretty darn low-impact, but it’s still a hell of a lotta fun. You get to drink as much as you want and then throw heavy balls around. You’re never out of breath, sweating isn’t much of an issue, so there’s always hope for picking up a hot date. 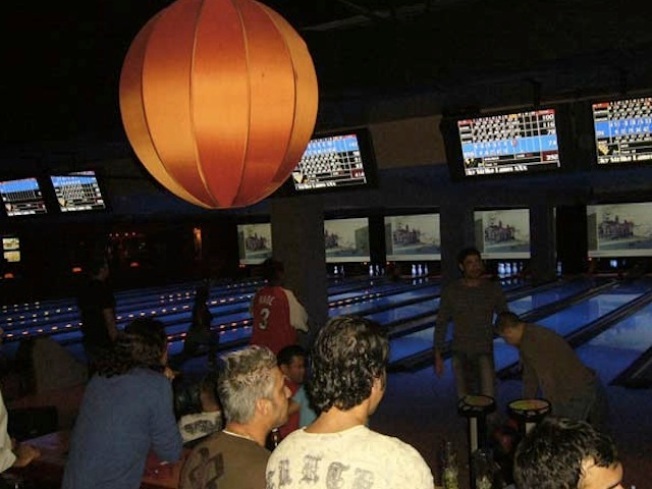 Lucky Strike Lanes is the perfect place to do all of these things: eat, drink, compete, meet people and not get smelly. That’s probably why the Miami Beach Gay Bowling League is hosting its third annual round of competitions right there on South Beach. The glamorous bowling alley will be hosting 14 crews of gays and lesbians each Tuesday night at 8 p.m. before November 17. Don’t expect this to look like Lebowski’s bowling night. Expect a more relaxed atmosphere and even dance music. DJ Jenni Foxx will be spinning fun familiars. This is a product of a collaboration between the Miami-Dade Gay and Lesbian Chamber of Commerce, Lucky Strike Lanes, Edison Farrow and SoBe Social Club. Playing isn’t free, it’s $19 per week and you can bowl two games each time. Have a great midweek adventure on the lanes. Read more of Liz Tracy'sMiami missives on her blog, Miami, bro.